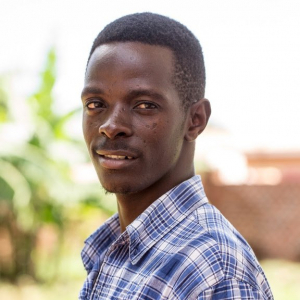 While Rogers has never known a life without HIV, his story is about so much more than that. Born to a mother living-with-AIDS in the early 1990s in East Africa, Rogers’ journey has presented him with many opportunities to test and challenge his philosophy, including a period of homelessness as a child, and a year-long struggle with cancer in the middle of his pursuit of a Bachelor’s Degree. In early adolescence, after experiencing complete loss, Rogers was referred to AidChild, Uganda for treatment and care. The staff welcomed him, offering not only the lifesaving medical treatment he needed, but also the embrace of a family and home. And he was soon adopted by AidChild’s founder, Dr. Nathaniel Dunigan. Now a graduate of the School of Business at Makerere University (one of Africa’s Top Five Universities), and the recipient of multiple awards and distinctions, Rogers is spending the summer of 2016 in the United States as AidChild’s Global Ambassador. His is an engaging story for those interested in the evolving conversation about social change—at the intersection of education, public health and development.